Dr Jengo's World: Mortal Kombat X Kombat Pack 2 Revealed! 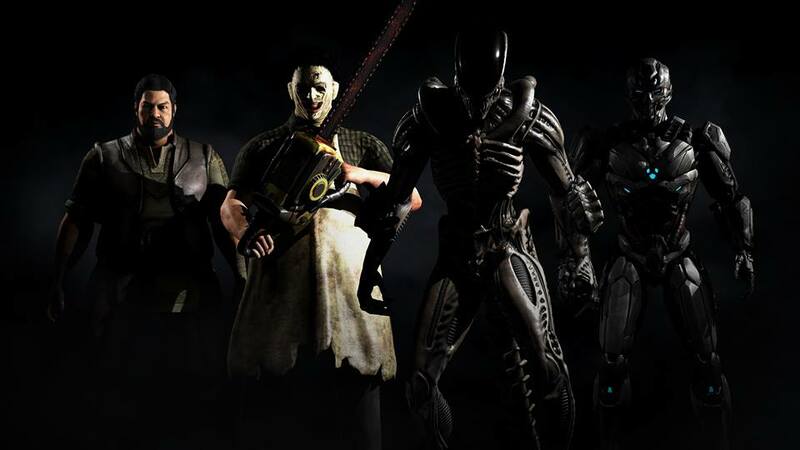 Kombat Pack 2, also known as Season Pass 2, has been revealed for Mortal Kombat X.
I'm going to start with a downer.. not too excited about more guest characters in the game, which dampens the realism for me. They are definitely cool characters and we can can get the Jason vs Leatherface & Alien vs Predator match-ups, that we have all been waiting for. Cool stuff but I would have swapped them for more actual MK characters, without any hesitation. Tri-Borg is actually a new form of the series' 3 cyborgs - Cyrax, Sektor & Smoke. I'm guessing they will use the 3 variations to feature each of the different Cyborg? So, looks like we won't get the fully-fledged Cyborgs with 3 variations each but this will do. Actually, it's a cool idea to add in all 3 Cyborgs into the roster, rather than leaving out some of them. Bo Rai Cho isn't my favourite, out of the 'missing characters' list but he will be an interesting character to play. I really liked this trailer. More story-like instead of solely revealing the 4 characters at the end. Hmm.. so is the Xenomorph a Tarkatan-hybrid? Hopefully, they will throw in lots more free klassic skins, fatalities and arenas, with each release like they did with the Kombat Pack 1 characters. Looks like no Spawn then? Perhaps in Kombat Pack 3?